I have carpenter ants in my attic. Not sure where or if there is a nest but definitely have them in the attic. Should I sprinkle liberally all around or put a small amount on a board and leave in one place and hope they come eat it? 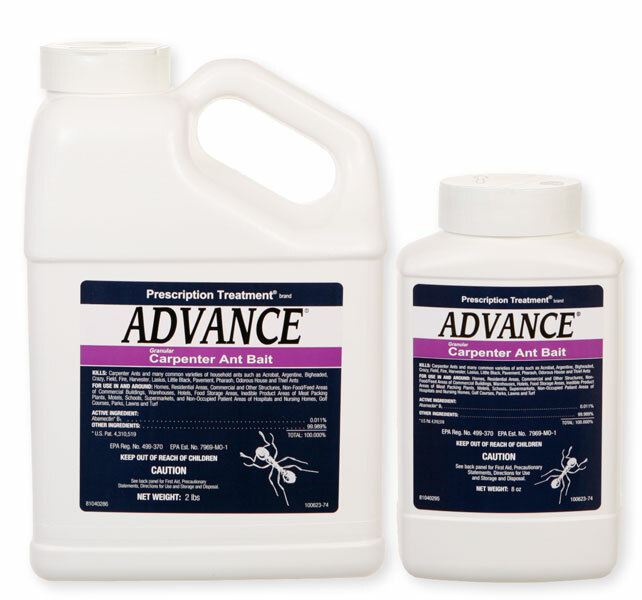 The best way to apply Advance Carpenter Ant Bait is to apply it outdoors. Carpenter ants - even though they may be nesting indoors - travel outdoors for food sources. They eat aphids, mealybugs, honeydew and other insects. They do not eat wood for food, and seldom forage indoors for food sources. Scatter the bait near areas where you find them trailing outdoors. Around the foundation and under shrubs, in shaded areas works well. Use your hand and just scatter it like fertilizer. It doesn't take much. Also, it only lasts a few days once applied, so you may need to reapply every few days for best results. If you can resist the temptation to apply to your attic, then use the same approach. Scattering it gives the best results. Applying it to a board and expecting them to find it probably won't work.